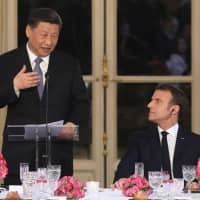 PARIS - France and China planned to sign trade deals worth billions of euros on Monday during a visit by Chinese President Xi Jinping but Paris will also take the opportunity to push back against Beijing’s “Belt and Road” infrastructure initiative. After he and Xi meet later on Monday, the two will hold further talks on Tuesday with German Chancellor Angela Merkel and Jean-Claude Juncker, head of the European Union executive. An official in Macron’s office said significant progress was expected in terms of opening up the Chinese market for some farm goods, especially poultry. French officials have also voiced hope that a multi-billion dollar deal for China to buy dozens of Airbus planes could be finalized. 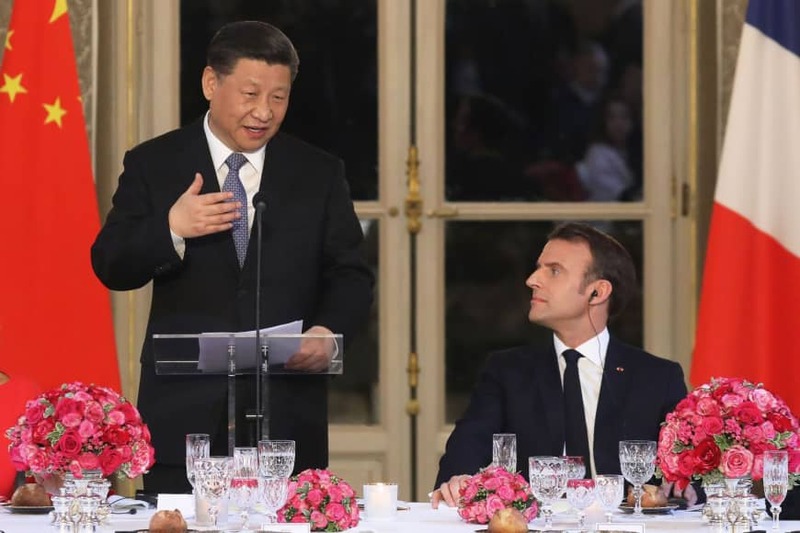 French officials describe China as a both a challenge and partner, saying France must remain especially vigilant over any Chinese attempts to appropriate foreign technology for its own purposes. As part of efforts to further that approach, Macron will play host Merkel and Juncker on Tuesday to meet with Xi to move away from a purely bilateral approach to ties. Several hundred demonstrators converged in central Paris on Monday with slogans protesting against the alleged mistreatment of China’s Muslim Uighurs and in defense of Tibet, 60 years after that region’s failed uprising against Chinese rule. “Foreign officials have often justified not challenging Chinese leaders on human rights out of ostensible concern that they might ‘lose face,’ ” Kenneth Roth, executive director of Human Rights Watch, said in a statement.